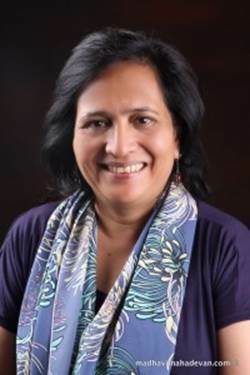 Madhavi S.Mahadevan wears many hats: editor, copywriter, author of children’s books, translator, short story writer. She shares her skills by conducting workshops. 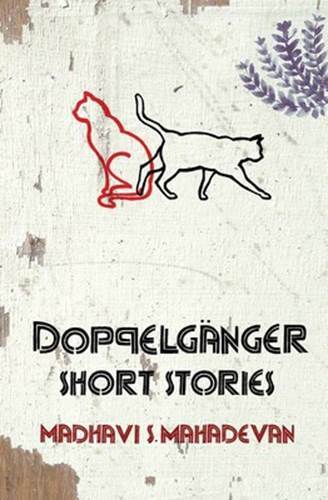 Doppelganger is an endearing, heartwarming collection of 18 short stories woven around the titled theme of the alter ego, or the “double” in the other. Wafer-thin surfaces are peeled away from a number of miscellaneous people who seem to have wandered into the book to reveal what lies underneath — seething, happy, sad, insecure, smoldering, bewildered characters. The families are expanding, more often, breaking up, splintering and dividing in a world that has changed its contours and personality. There are characters who are struggling to hold on to their identities. The author gives some plots a few twists and intersecting points that reveal their complications. All the stories have certain set themes, but all weave the threads together. The first story, ‘Doppelganger’, is about two friends who share similarities in their names, but are foils to each other. One of them is diligent, successful and ambitious, but he is seething with loneliness and a sense of failure inside. The other is laid-back and unable to taste the success he longs for. Some tales show characters caught in some suddenly complex turns of events. These are stories with unusual plotlines. Thus, ‘Begum Sahiba’ is about an upwardly mobile woman who fools a lot of people by putting on the airs of a rich lady. Her personality is pieced together by different characters who comment on her. These comments build up her immensely interesting façade. Her personal point of view, however, remains elusive. A ghost story called ‘Chloe’ merges the divergent worlds of reality and imagination. ‘One Last Song’ sings about a wife with a migraine attack, a person pitted against a dumb and dense husband. ‘Faultlines’ is a tragic quadrangle of cross-wired lovers, who haven’t patched up in spite of the passage of time. ‘Love Notes’ is about the descendant of an unfortunate woman; misfortune is her ancestral legacy. All the characters are caught in the web of complicated problems. They are found musing, reflecting, remembering or coming to conclusions about relationships. Some of them are dense and unable to grasp the realities of life, while others are able to empathize with others. What makes the tales memorable is the author’s study of the facets of life. “I feel sad for us, our tired, outworn selves. At the same time, I feel, strangely, relieved…In the warmth of that light the past suddenly seems very distant.” The language, though simple is rich in metaphors. Sometimes, the descriptions seem almost staccato. Yet the prose flows, capturing the rhythms and idioms of everyday sights, smells and sounds. “Love makes a child, while forbidden love begets a love child.” The tales create gentle, fragile, will-o’-the-wisps that rock and float gently, while, at the same time, revealing some shining nuggets of secret relationships. Madhavi S. Mahadevan is to be complimented for making a creative and artistic use of an interesting phenomenon. Editor’s note: According to legend, doppelgangers (German for “double-walker”) are paranormal duplicates of a real person. They can manifest in a number of ways: You can see them out of the corner of your eye, meet them on a lonely road somewhere, or, chillingly, see them standing behind you when looking in a mirror. Sometimes a doppelganger can’t be seen by the person at all, but instead manifests to other people in a completely different location. It may even cooperate with the person, help them with tasks, or act as a surrogate body of sorts. There are many explanations for the doppelganger phenomenon. Mystics throughout the ages have believed they are supernatural creatures: either spiritual copies of the person or downright demonic twins. Meanwhile, scientists say they’re just electrical glitches of the brain, or mental illnesses such as schizophrenia. 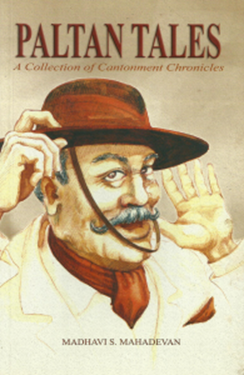 Paltan Tales is a set of 13 stories; the sub-title, ‘Cantonment Chronicles,’ says it all. The author has managed to cover all manner of military hierarchy and landscape in the book. Her voice is a rich and gender-neutral one. It is also an authentic one. Madhavi Mahadevan, an army child, soaked up cantonment life and spent her early years following the drum. That is why she is able to tell the stories of a cross-section of people– army wives, parents, loyal batmen, soldiers in the field, young cadets and even the odd Major General. The tales describe the army experience from their point of view. Tales that describe the pride, honor, self-respect, discipline and sense of duty of the men in uniform, and the anguish, frustration, and quiet resignation of their loved ones. Each has a distinct flavor; some are somber but the common thread of Corps spirit runs through all..
Others, like ‘The Mascot’ are Olive Green all the way. Two brothers recall a story told to them by their father’s batman years ago. How they react to the story– which incidentally is a truly heartwarming one– serves to highlight the innate difference between the two. One brother joins the army and inherits its rich traditions, the other (unabashedly civilian) looks upon them as quaint but redundant. This book may be likened to a river where the brooks of many lives join and flow in the same direction– ‘for men may come and men may go, but the Paltan goes on forever’ Deeply felt, touchingly told, by someone who knows.